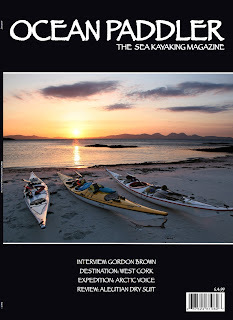 'Ocean Paddler - The sea kayaking magazine', which will be launched in July, is a new and exciting concept aimed solely at the sea and touring kayak paddler and published 12 times a year by ‘Masik Publishing'. Ocean Paddler’s 84 pages will include trip and expedition reports, technique articles, reviews, guides, interviews and much, much more. 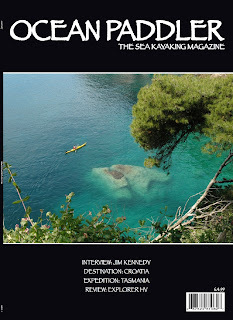 The publishers guarantee that the articles will inform, enthuse and excite today’s sea paddler. Sea kayaking covers many different elements; from day trips to overnight sojourns; from weekend to week-long paddles; from full-blown expeditions to short play sessions in surf or tidal races and all in conditions, ranging from mild to wild and so will the magazine… beginners, intermediates, and experts alike are likley to revel in the coverage Ocean Paddler hopes to bring to our amazing sport. The UK is rightly viewed as a leader in sea kayak manufacturing and design; BCU coaches are considered to be amongst the best there are, perhaps in the world, and the team behind Ocean Paddler think it’s about time that UK sea kayaking had a dedicated, monthly magazine it so richly deserves. 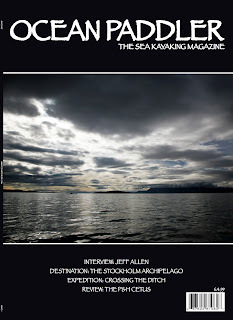 Printed on high quality paper, all from sustainable sources, Ocean Paddler will be a huge step forward from other UK based kayaking magazines; there are, of course, other UK paddling magazines covering sea kayaking, but Ocean Paddler will be the only monthly title that is entirely dedicated to the needs of the sea kayaker. The Ocean Paddler team are determined to include only the very best content and have secured the exclusive services of the world’s best paddlesport wordsmiths and photographers, all of whom are equally as excited about Ocean Paddler.